What does it take to become a self-confident person? And what happens when you lose it and need it back? Self-confident people exude passion and achieve extraordinary results. Join ten experts in self-confidence as they share the systems for what the most successful people in the world enjoy -- powerful self-confidence! 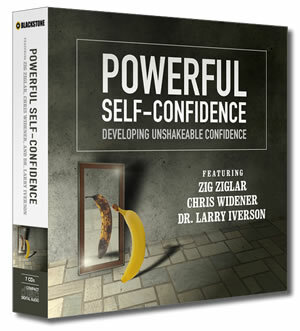 Powerful Self-Confidence will teach you skills to increase your emotional capacity, build an unshakable belief in yourself and experience increased performance through self-confidence. Implement the systems and tools offered in this program, and you will cultivate a healthy and confident state-of-mind to propel your life forward. Every product is backed by a 100% Money Back Guarantee. Take a full 30 days to apply these life enhancing processes, and if you don't think they work for you, then contact us for instructions on returning the product and we'll give you a prompt refund. You have absolutely nothing to lose!